Action Builders understands that building a home can be intimidating, especially for someone who has never built a home before. During our pre-meetings with the customer, we walk our customers through the building process up front to give them a better idea of what to expect once their home begins construction. We answer any questions our customers may have and try to address all of their questions and concerns. If the customer has not already purchased a lot, we work with them to help them find a lot. If they see a lot they may be interested in, they can call us to meet at the lot and we can provide them an assessment of the condition of the lot and what would be required to be done before beginning construction. Based on that assessment the customer can decide whether that is the lot for them to purchase for their new home. During the actual building process we work closely with our customer every step of the way…from breaking ground to doing the final walk-through. We ensure our customer is aware of what is going on and answer their questions real-time by meeting them at a time convenient for the customer whether it is before work, after work, on the weekend, etc. We also walk the customer through what selections need to be made, where to go to make the selections, and when to have the selections made. 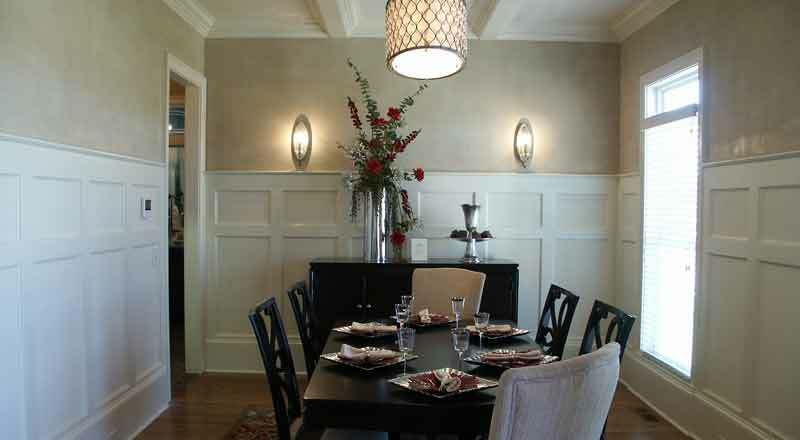 if the customer is not comfortable making selections, we can refer them to a designer that can work with them. Mark is also very creative and good with design and can also be a resource for you. 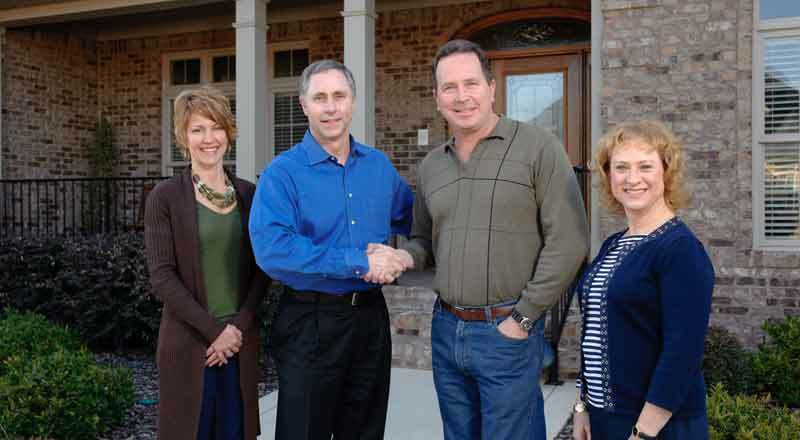 Having complete trust in your builder is extremely important during the building process. We believe our experience in custom building, our continued research on the products we use, our careful selection of our subcontractors, and our availability to meet with the customer to answer their questions and concerns helps to earn us this trust. Of course we will not take your trust for granted and understand that it has to be earned. We ask you to give us the opportunity to earn your trust as you will not be disappointed. 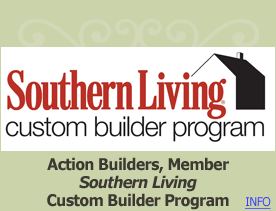 In going with Action Builders for your custom home, you will get exceptional Quality, Trust, Value, and Customer Service. Listed below is our process beginning with the initial meeting with our customer through signing a contract and beginning construction on the custom home. Visit lot and access its condition, slope, rock, any required clearing, etc. Customer determines changes, deletions, and add-ons.